Found this goodie today and HAD to share with my fellow chocoholics. YESSSS! 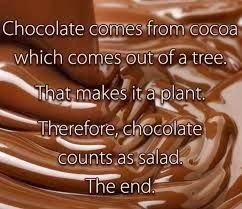 I am so justified in eating that chocolate. :))) Happy Saturday everyone!